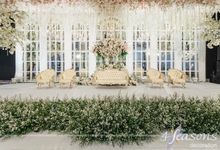 Dekor nya keren, sesuai dgn sketsa, ci Ellys sabar n baik bgt, bonus yg diberikan banyak, ci Ellys ga pelit2 deh kasih extra ini itu nya.. suka banget sama dekorasi 4seasons.. very recommended!! 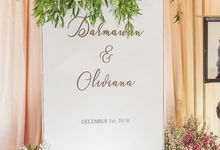 My husband and I got married last Dec 2015. 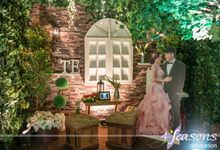 We wanted a rustic-themed wedding, which is quite rare for an indoor wedding. 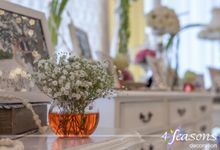 Elysia from 4season was very detailed and patient with us, she made sure that she understood what we want. 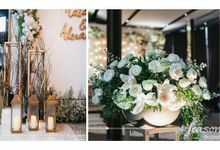 On our wedding day, we were blown away by their work. 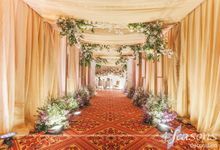 They went beyond our expectation and we couldn't be happier with the result. 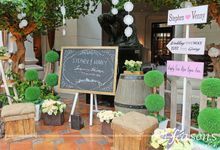 A lot of our family and friends complimented the decoration. 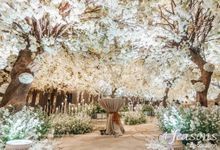 Thank you 4season for making our dream wedding come true! 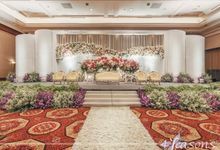 Chairs, Chair covers, Tables, Tablecloths and linens, Tableware, Centerpieces, Room or ceiling draping, Lighting, Stage or dance floor, Other screen; trees; etc. 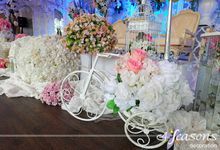 Our decoration can be customized or follow ready-made themes. 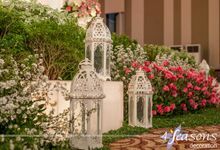 Our teams always ensure the best and optimized decoration setups both in planning and during actual field-works. 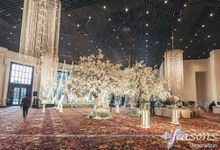 We are striving to meet and often exceed our clients' expectations. 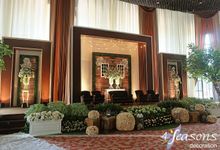 So be prepared to be suprised by our decoration quality! 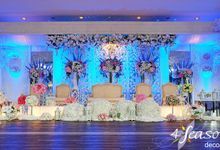 3 - 6 months in advance is required for the best preparation and planning. 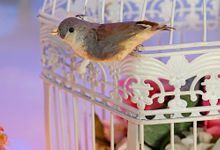 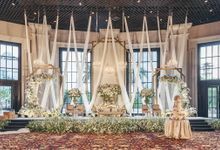 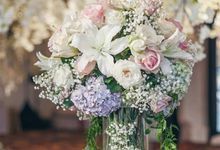 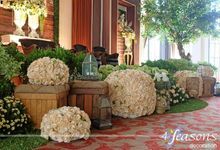 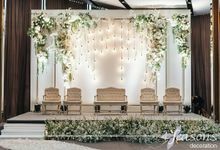 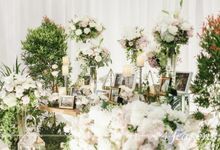 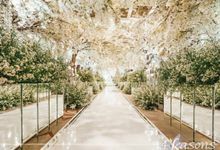 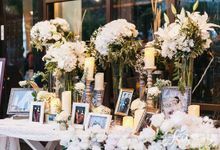 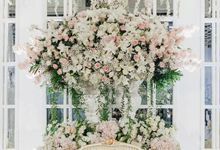 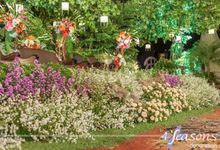 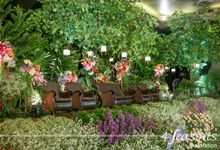 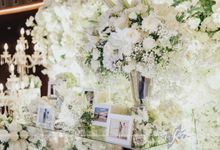 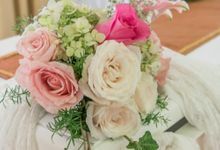 4Seasons Decoration, based in Jakarta, Indonesia, is a professional wedding decorator with many years of experience in the business.